An easy-care addition to the edible landscape. Wide clusters of creamy white flowers appear in spring, making wonderful components for bouquets or for dipping in batter and making fritters. If left on the bush, the flowers develop into bountiful bunches of tender, deep purple berries used in jams, jellies, pies, and wines. Being native to North America, these fast-growing bushes also appeal to wildlife, like bees and hummingbirds, as a food source. Cold hardy. Ripens in early August. Best pollinator: any other elderberry variety. Already have York and Adams, so adding this increases our homestead diversity! I chose this plant because I can't grow blueberries in Colorado Springs and I wanted a dark berry for jellies. I'm hoping Elderberries do well out on the plains. Already have the John's and Adams bushes. Wanted to add this to my collection to be used for making my own elderberry syrup as the stock of elderberry syrup is becoming harder to find and more expensive to buy. We love Elderberry jelly, syrup, and wine. Nova is a companion pollinator for York. And between the two we are going to satisfy those desires! Do you treat your plants with neonicotinoids? Is this a dog safe plant? BEST ANSWER: Unripe elderberries contain a toxic alkaloid, as well as cyanogenic glycosides. The plant is listed on the Deerfield Veterinary Clinic and the Pet Education websites as being toxic to dogs. BEST ANSWER: Mine grew to about 4 ft the first year with 5 dinner plate size clusters of blossoms & then berries. The second (this) year, it is over 6 feet with 15-16 canes, all with blossom clusters forming at the end of each cane. 2nd year growth gave enough to make a small jar of jam for the kids. This 3rd year they look like they've more than doubled in size. Very happy with how well they are bushing out. My big one is about 5 or 6 years about 12 feet tall and I get a lot off of it.The two I got in 2015 are about 45 inches high.They have berries but not a lot. Do I have to cook elderberries before eating? BEST ANSWER: It is best if you do because of the small seeds. The flowers make wonderful fried fritters and the berries area historically know medicine for colds and flu. They make an awesome.e wine and syrup. Any part of the elderberry that is green can be toxic so make sure you remove all the stems. I use them to make pies. Do these spread by their roots? BEST ANSWER: They root spread. I'm not sure HOW they spread, but they do spread prolifically. Do Elderberry plants have any thorns? BEST ANSWER: No thorns. They grow as a dense, multi branched small tree, similar to a serviceberry but much faster growing and much weaker wood. Terrific grower if they have soil that does not dry out. Which are the best two varieties which do best in my 40065 zone? BEST ANSWER: These are all fine native American elderberries, and all will do very well in your zone. They just ripen at slightly different times, but taste similar and are all very easy to grow. 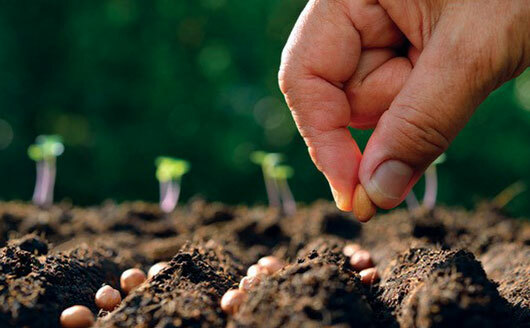 What is the best soil to plant in? Wet or dry? BEST ANSWER: Elderberries like well drained soil, with average moisture, meaning not too dry and not low/wet. i read this Elderberry needs a pollinator and i only bought one. does this mean it will bear fruit? BEST ANSWER: No, it will not. This plant requires a pollinator, but of a different variety, as noted in the description above. The same variety cannot pollinate itself. York or Johns are both good choices. Is Nova an American or European variety ? BEST ANSWER: It's a native North American variety. I purchased this Nova Elderberry as a pollinator for two exhisting York Elderberry Bushes in my yard. Each year I watched the York bushes produce plenty of flowers but never any berries. The Starkbrothers web site indicated the need for a polinator of a different variety, this spring we had an abundance of fresh berries. Fantastic healthy plants that are doing great! Bought the pair last year and they are doing fantastic. Growing quickly and looking forward to some berries. Not a very experienced gardener, but they are growing beautifully! I ordered Nova and York elderberry bushes early last year. They grew about 4 feet tall the first year, survived a Wisconsin winter and are really taking off this year and looking really healthy! There are some berries beginning to grow already as well. This plant is growing well. Two previous years I bought them and they didn't survive the winter. These were bigger. Thank you. This elderberry is a rapid growth specimen, as well as very healthy looking. It had beautiful large flower clusters this spring. We received excellent plants and they have exploded with growth & berries! Followed the planting guide and have had great success! I bought this at the end of the season of 2016. I am very happy with the Nova Elderberry it is very big compared to what I thought it would get to be. Just waiting until I can pick a good amount of berries. I bought a Nova & a York bareroot & also potted of those varieties. I had berries the first year on the bare root. I couldn't believe it! Very thankful that I ordered these & i'm excited to see what each year brings from these plants. Really healthy plant. Growing like crazy. Very pleased. These are doing great! Planted last year and they are already tall and full! No berries so far but who knows, it has only been since October. The deer have seemed to leave them alone, they are in a cage and then in a fenced in garden. I was worried when I received the Nova Elderberries, It was a bad weather year, and I thought they wouldn't make it. They lived and are now three to four feet tall. I am very satisfied with my purchase. Great plant - provided berries the next year. Got both this and the York elderberry. Both are growing happy and healthy. Hoping to get elderberries this year! I got a root plant and planted it immediately it is not looking so good I am pretty sure it is gone so that purchase was a waste of money, sure hope the other 2 make it.